Unpacking Maryland-based Definitive Technology’s BP-8020ST SuperTower floorstanding speakers ($1198 USD per pair) evoked thoughts of the Mirages, which still sit in my parents’ basement, though the DefTech is significantly smaller -- the bipolar BP-8020ST measures just under 36”H x 5.5”W by 11.5”D. The included stabilizer feet add to the speaker’s height and width, but ultimately it’s quite compact and weighs only 34 pounds. Connecting the feet and spikes (or floor-friendly glides, also included) took me about ten minutes, finished off by clipping on the included plastic, gloss-black top panels. Unlike the Mirages, the BP-8020STs’ drivers are on the narrow, rather than the wide baffle of the rectangular chassis. The front of the speaker is slightly tapered, its 5.5”-wide front baffle kept that narrow to minimize diffraction. The Definitives are specified as being 92dB efficient, with a power handling of 20-250Wpc, and should prove a fairly benign load to even modestly powered tubed amplifiers. The nominal impedance is listed as 8 ohms, while the claimed overall frequency response is 30Hz-30kHz, with no mention of a ±3dB tolerance. The fabric skin of the diminutive SuperTower hides a fair bit of technology. On the baffle is a 1” annealed aluminum-dome tweeter almost identical to that used in DefTech’s largest bipolar tower, the BP-8080ST, which Roger Kanno recently reviewed. 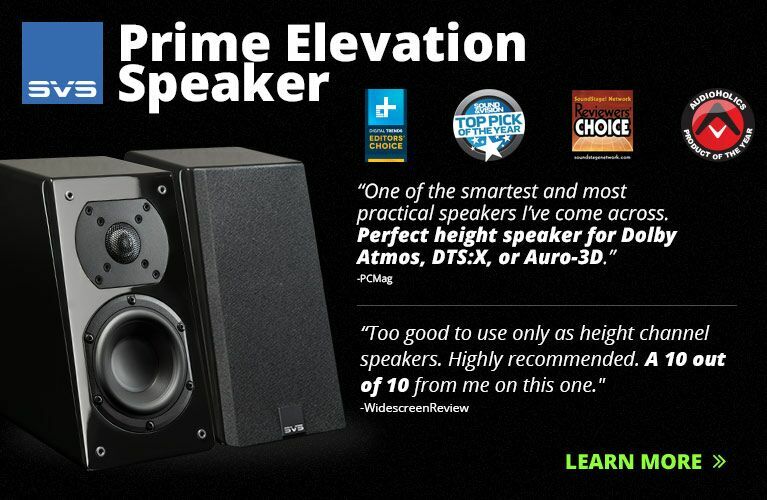 It has the same voice coil, dome, carrier, and faceplate as the tweeters used throughout the four-tower line, but makes use of a smaller motor level-matched to the speaker’s two front 3.5” midrange drivers. Those midranges sit above and below the tweeter in a D’Appolito-like configuration, but DefTech doesn’t specify a crossover frequency. On the rear of the speaker is a third 3.5” midrange driver, this one left to play out to its -3dB point of 10kHz, with useful output to 14kHz. This allowed Definitive to forgo the expense of including a tweeter on the rear panel while still being able to produce usable treble energy there. 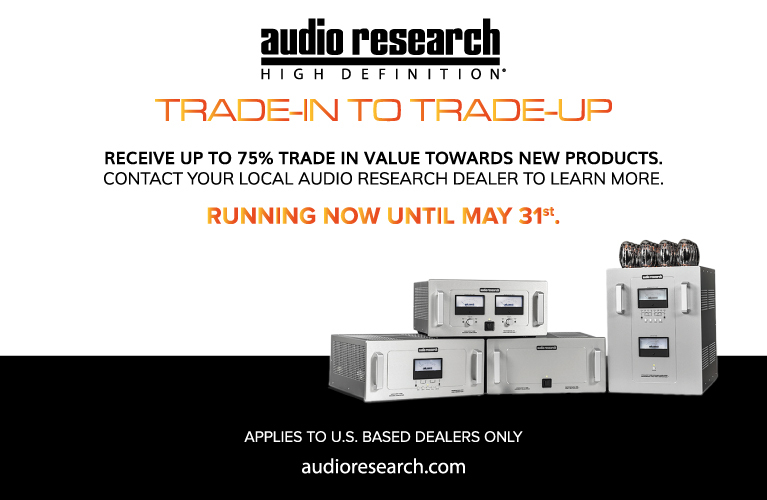 To further reduce costs, DefTech didn’t use their patented, second-generation Balanced Double Surround System (BDSS) midrange drivers, which are found in the rest of the line, but their heavily modified non-BDSS drivers, which can provide the same peak output as their younger, larger siblings. The BP-8020ST does without the passive radiators of the larger models in the range, instead having a port that vents to the rear. A single 8” bass driver mounted on the lower left side panel of each tower is powered by a built-in, class-D, 150W amplifier. On the rear panel is an LFE input so that the sub can be used in a home-theater system, a dial for tailoring the bass response, and a pair of vertical binding posts. Unlike bipolar arrangements of yore, Definitive Technology’s SuperTowers use a patented Forward-Focused Bipolar driver array. 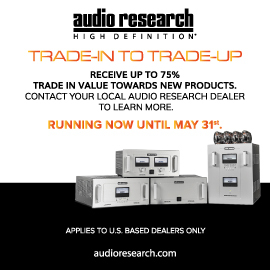 In their research and development efforts, DefTech found that when the output of the rear-facing driver(s) in a given speaker model was 6dB lower than that of the front drivers, good imaging was achieved without diminishing the sense of spaciousness that makes bipolar sound so appealing. In fact, they found that the imaging produced by the FFB array was superior to that of traditional bipolar and direct-radiating arrays. Greater care is needed in positioning bipolar than direct-radiating speakers, as the formers’ rear-facing drivers typically need to be some distance from the front and side walls to sound their best. I placed the BP-8020STs in exactly the same spots as my bipolar Mirage OMD-28s: 8’ apart, a little over 2’ from my front wall, and 3’ from my sidewalls. Unlike with the Mirages, however, I wouldn’t recommend bringing the BP-8020STs much farther out into a room -- their vented design and relatively modest built-in subwoofer mean that taking advantage of room gain is probably preferable to ratcheting up the bass with the rear dial. To achieve the best balance in my room, I wound up setting those dials to 1:30, from a base setting of high noon. 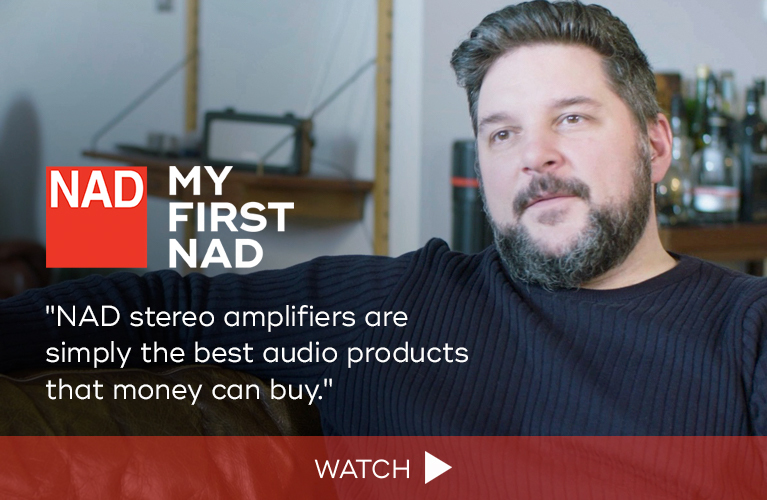 The BP-8020STs saw use with more equipment than just about anything else I’ve recently had in for review, but I got the best sound when I hooked them up to Hegel’s exceptional H300 integrated amplifier with built-in digital-to-analog converter. I played my collection of lossless iTunes files from an Apple MacBook Pro laptop computer via an Apple Airport Express, using a generic TosLink interconnect between the Airport and the Hegel. A Nordost Blue Heaven power cord fed current to the Hegel, which drove the DefTechs via Dynamique Audio Caparo speaker cables. I used the BP-8020STs’ included power cords to provide power to the speakers’ subwoofer sections. The BP-8020ST SuperTowers arrived in my listening room around the same time as GoldenEar Technology’s Triton Threes. Each is a reasonably sized tower speaker with a powered bass section. I expected the DefTechs and the GoldenEars to sound similar. They sounded dramatically different. The BP-8020ST’s sound was one of utmost crispness, with startling levels of clarity. It would be unfair to describe the sound as bright or tipped up, but it was decidedly not warm or sweet. For $1198/pair, however, I was quickly impressed by the DefTech’s ability to resolve detail. 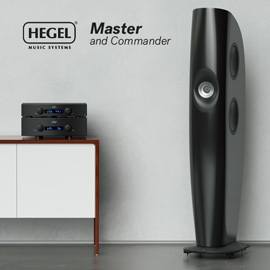 The increase in performance quality when transitioning from my ten-year-old Krell integrated to Hegel’s reference-level integrated was clear, and a testament to the quality of the BP-8020ST’s tweeter and midrange drivers. Given that each 8” bass driver has its own amplifier, bass performance should be identical in every system (if not every room). The standout performer in the Definitive was arguably its tweeter, which is similar to the one used to great effect in the larger BP-8080ST. I suspect it has solid dispersion characteristics, as the imaging remained strong well outside my listening position, an impression certainly helped by that rear-firing midrange driver. It had a crystalline quality that I think many listeners will appreciate -- the treble was as clear and sharp as I’ve heard. Those fond of a warm, sweet, or soft sound should look elsewhere. In “Tamarack Pines,” from George Winston’s Forest (16-bit/44.1kHz AIFF, Windham Hill), the pianist’s fingers gradually ascend to the far right end of the keyboard, starkly exploring the upper boundaries of what his Steinway can do. It’s quick-fire, staccato stuff, and the BP-8020STs’ tweeters were surgical in their precise rendering of it. The midrange felt agile and well defined. As with the tweeter’s part of the audioband, the midrange never sounded rich or lush, and the combination of the drivers sounded ever so lean. But the midrange had a purity that pervaded everything I played through the SuperTowers. “Evening Falls,” from Enya’s breakthrough album Watermark (16/44.1 AIFF, Reprise), was emblematic of this. The four-time Grammy winner’s hallmark voice was airy, delicate, and three-dimensional, that last quality one that can be difficult to find in a $1200/pair floorstander, many of which sound somewhat flat. 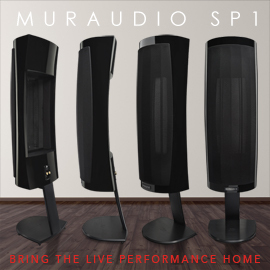 The rear midrange must have contributed to this; the size of the sound produced by the BP-8020STs was not commensurate with their small stature -- it was huge. While the BP-8020STs didn’t sound quite as wide, deep, or effortless as my Mirages ($7500/pair when first released), they sounded bigger than GoldenEar’s Triton Threes ($2000/pair) or MartinLogan’s ElectroMotion ESLs ($2200/pair), both of which I’ve recently reviewed. I suspect that moving up to the larger models in DefTech’s bipolar BP line -- which are taller, have rear-mounted tweeters, and better midrange drivers -- will produce even grander soundstaging. But given the BP-8020ST’s tiny footprint, the scale of sound they produced was impressive. Imaging was also a strong suit of the BP-8020STs. Edvard Grieg’s signature In the Hall of the Mountain King, originally composed as incidental music for Henrik Ibsen’s 1876 play Peer Gynt, with the San Francisco Orchestra conducted by Herbert Blomstedt (16/44.1 AIFF, London), was laid out before me with authority. The opening cellos were being plucked in the right foreground, as the bassoons crowed centrally from farther back. As the tempo increased, the higher strings sounded with alacrity from the left front of the orchestra. If there’s a showcase for the virtues of bipolar designs, it’s larger orchestral works such as this that are pregnant with depth and dynamic range -- and the Definitives excelled in this regard. The DefTech’s active bass driver was both a strength and a weakness. On the one hand, finding a floorstanding speaker with a built-in powered subwoofer for only $1198/pair is almost impossible. The BP-8020ST offered excellent extension for the money -- I estimate that the speaker is flat down to 35Hz or so -- and was quite punchy. “Pro Victoria,” the opening track of VNV Nation’s Of Faith, Power and Glory (16/44.1 AIFF, Anachron Sounds), proceeds with a number of deep, thumping, large-diameter drums being struck in a large recording space. 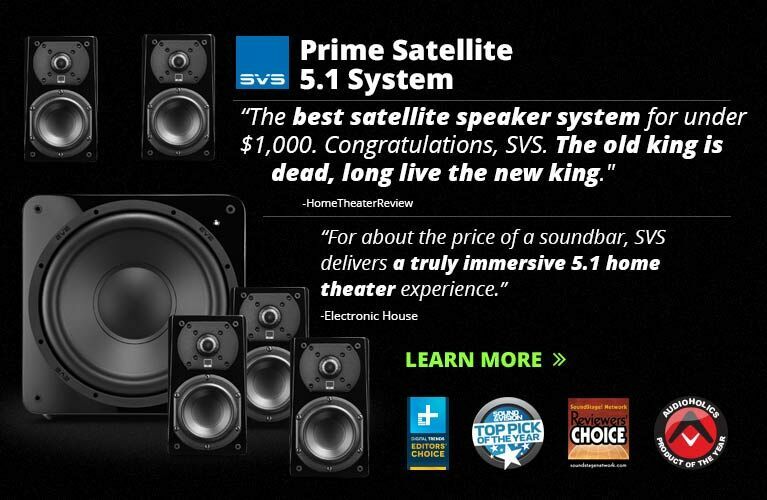 The BP-8020STs’ subs captured most all of the energy on the recording, barely abbreviating the lowest notes, in the process producing near-full-range bass. It was pretty composed, even at higher volumes, and perfect for a listening room of small to medium size. The subwoofer’s weakness was that it sounded somewhat disconnected from the rest of the BP-8020ST’s output. With the similar, albeit significantly more expensive GoldenEar Triton Three, the sound was almost seamless from bottom to top. Here there seemed to be a leanness in the upper bass, presumably where the midrange drivers are crossed over to the sub, the admirably tight-sounding sub then taking over as the frequencies descend. Keep in mind that I’m comparing the BP-8020ST to a product that costs $800 more; considering that, this quibble is minor. In the design of affordable products, compromise is inevitable. At $1198/pair, the Definitive Technology BP-8020ST SuperTower is a near-full-range speaker that sounds far larger than its tiny footprint would suggest. 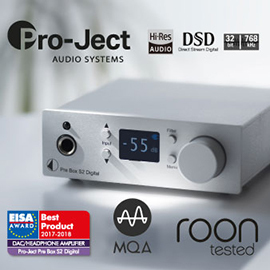 Its active bass section and high efficiency should make it an easy load for any amplifier, and it offers shocking clarity for the price. I imagine that the BP-8020ST would be an easy choice for listeners who have limited space or smaller rooms. I may have been predisposed to like this unassuming-looking bipolar design, but it took only a few minutes of actual listening to determine that it is an excellent little speaker. Cheers to Definitive Technology. Price: $1198 USD per pair. Warranty: Five years parts and labor; three years on amplifier electronics.